Sridhar Gorthi is Partner, Trilegal, and is part of the corporate practice group of the firm. His areas of expertise include M&A, joint ventures and private equity. Sridhar has been actively involved in several high profile cross-border transactions. His key clients include Goldman Sachs, Morgan Stanley, Lincoln Electric, Heineken, Thomson Reuters, Lockheed Martin, Tesco, eBay, the Godrej Group, L&T, Shriram Group and the Raheja Group. 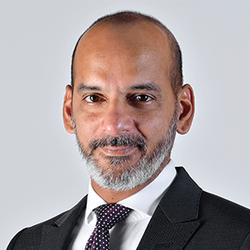 Sridhar has represented international clients on inbound M&A in India as well as Indian companies on outbound M&A transactions in jurisdictions such as the UK, the USA, South Africa, Argentina, Indonesia and Sri Lanka. The private equity funds that Sridhar regularly advises include CLSA and Morgan Stanley PE.